If you decided late in the game that you must attend a sold-out trade show, there’s still hope. You can create a presence without exhibiting in a booth. 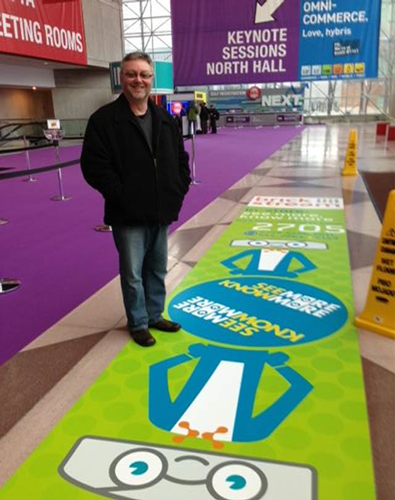 For years I have been saying that there are many ways to market at trade shows without buying an exhibit space. An article in B2B Magazine, No booth? No problem. How one company used partnerships, guerrilla tactics to get the word out, inspired this blog post. The article is about Brickstream, a company that has in-store devices that analyze and reduce customer wait-time. Brickstream wanted a presence at the National Retail Federation’s Annual Convention & Expo, but the show’s exhibit space was sold out. Do you need help establishing a marketing or trade show strategy? Contact me today – I’ve helped many B2B companies get better results in their trade shows and overall marketing programs.